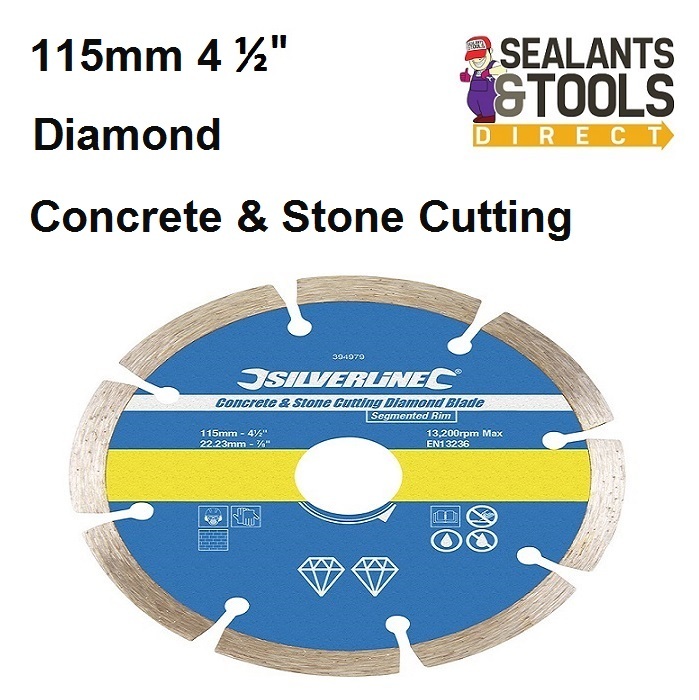 Concrete Stone Diamond Grinder Cutting Blade 115mm 4 ½"
Concrete and Stone masonry cutting Blade. This Blade has 7mm high segment's for fast cutting and a long life, these give excellent cutting speed and blade life balance. Compatible with 22mm bore angle grinders. Wet or dry use. Optimum results are acheived if used wet. Manufactured and certified to EN13236. 115mm x 2.5mm x 22.23mm bore. Always use safety glasses or goggles when using saws.